Crypto markets are flat once again, Tron is on a flyer while Bitcoin goes deeper into bear territory. There has been no sign of any upwards movement on crypto markets which have remained bearish below $120 billion. The only good news is that there has not been another major dump (yet) and things have remained stable over the past 24 hours. Bitcoin has not broken above $3,600 over the past day but has stayed steady at $3,580 for most of it. A few hours ago BTC started to move south again with a drop to $3,560 and things are looking grim as daily volume drops below $5 billion. Ethereum has not moved since this time yesterday and is still stuck at $117 in bearish territory. XRP however has fallen back a percent or so reducing the market cap gap back to $750 million. Both crypto assets are consolidating below previous levels of support though so could fall further. Only one altcoin in the top ten is pumping at the moment and that is Tron. Yesterday’s news of the massive BitTorrent token airdrop has likely to have driven fomo hungry traders back to TRX as it posts a 9.5% climb on the day. 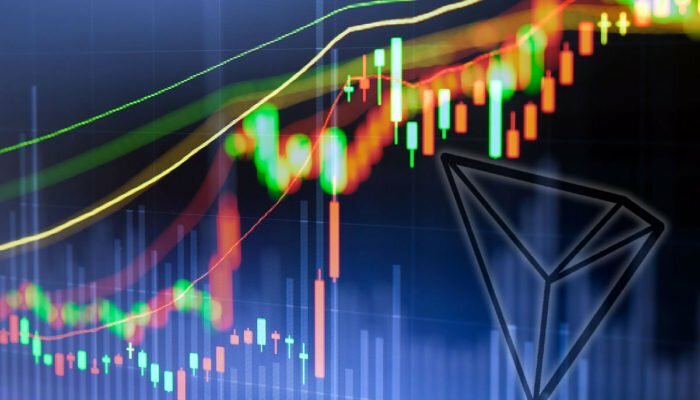 TRX has reached $0.026 (730 satoshis) with trade volume doubling overnight, it has outperformed the top 50 and is closing up on Litecoin in eighth which has not moved on the day. The rest of the top ten is also motionless at the time of writing. There are a couple of glimmers of green in the top twenty, namely Monero and Nem making very minor gains. The rest are flat or falling back a little with Iota leading the drop at 1.6% down. The very erratic Buggyra Coin is getting pumped again as today’s fomo champion of the top one hundred with an 80% spike. Factom has also made a 20% jump on the day but only these two are gaining double figures. Following its pump over the past 48 hours TenX is falling back again now dropping 10% making it the day’s worst performing altcoins at the time of writing. Total market capitalization has not moved much over the past 24 hours and is still around $119 billion. Daily trade volume however has fallen back to $14 billion as things ice over again in crypto land. Over the past seven days markets have contracted by 4%, a similar loss can be measured on the monthly chart.